Following his capture by the Jedi in the final episode of the second season of “Star Wars: The Clone Wars”, we don’t see what Boba Fett’s experience is like in prison, especially since he’s a kid and could easily be bullied, and because he looks like a younger version of a clone trooper. 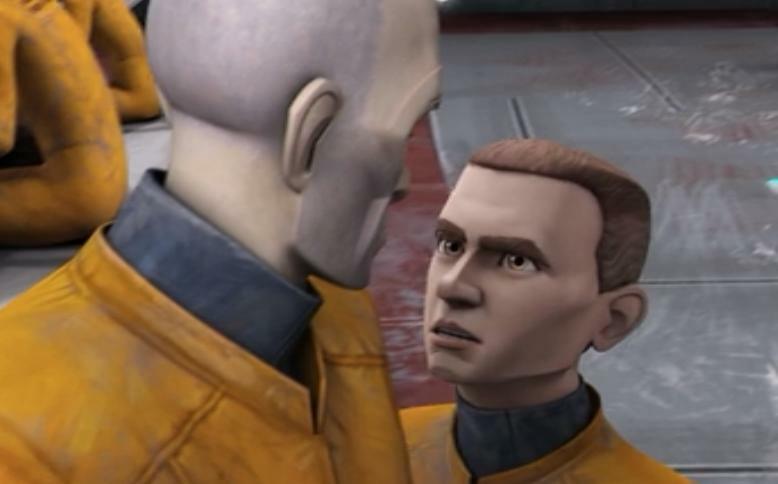 The only time we see him in prison is in episode “Deception” (15th episode of the 4th season of “Star Wars: The Clone Wars”); however, it’s as he is about to get out. At this point, Boba Fett tackles Hardeen and they tussle with each other momentarily until Hardeen seizes Boba Fett. While Hardeen has Boba Fett, Clone troopers come over and say: “All right, all right, that’s it fight’s over!” However, Bossk comes over and knocks them out, saying, “No, it ain’t. You got a problem with Boba, you got a problem with me.” Bossk then begins fighting Hardeen, at which point, a lot of Clone troopers come in and a massive fight breaks out. 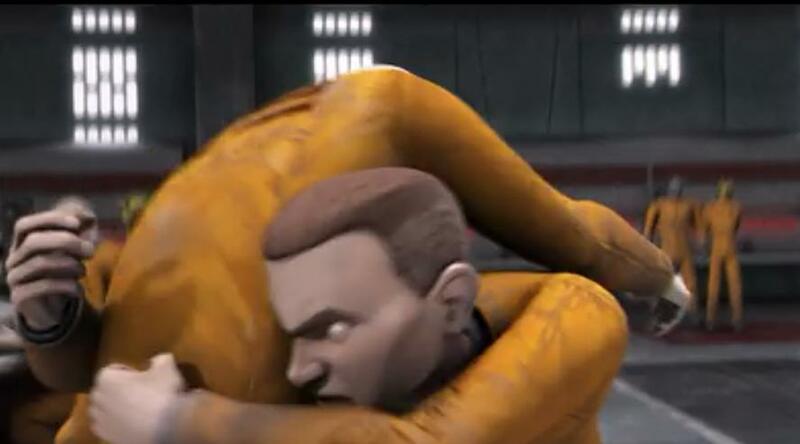 Clearly, despite being in prison, Bossk still has Boba Fett’s back. This should give us some insight as to how Boba Fett made it in prison – he had Bossk looking out for him. When a gigantic fight breaks out between the prisoners and the Clone troopers, Moralo Eval concernedly inquires of Cad Bane as to what they should do, to which Cad Bane replies, “Part of my plan. Paid off the kid to create a diversion.” With regards to Boba Fett, we see two more things: 1) Boba Fett wasn’t just trying to fight Hardeen – he was merely just trying to get a diversion set up. 2) He had gotten in league with Cad Bane. Of course, with the diversion being successful and prisoners escaping, Boba Fett clearly must have escaped, although we don’t see how he escapes, per se.